Erica Buswell of Maine Farmland Trust signs a conservation easement document on Tuesday as Johnny’s Selected Seeds Founder and Chairman Rob Johnston, Jr. looks on at Johnny’s Research Farm in Albion, Maine. 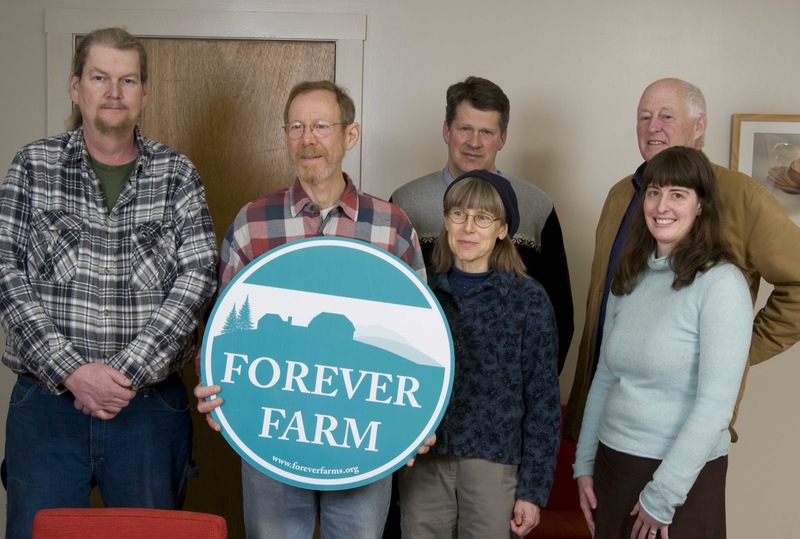 Also pictured from left to right in the back row: Brian Milliken, Johnny’s Farm Manager, William Bell, Maine Farmland Trust Board President, and John Piotti, Maine Farmland Trust Executive Director. 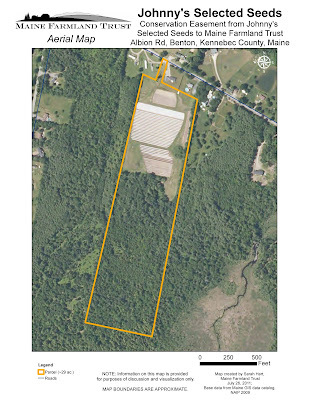 Johnny's recently donated a 29-acre agricultural conservation easement that is used for plant breeding and seed production to the Maine Farmland Trust. 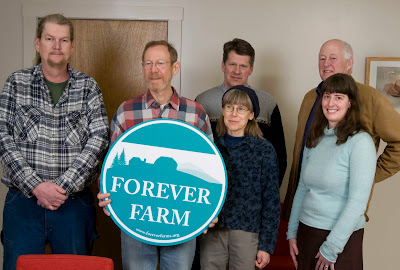 The easement agreement was signed Feb. 28 at a “Farmland Forever” closing ceremony at Johnny’s Research Farm in Albion, ME. The land being protected is known as the Benton Field. With its southern exposure and rich soil, the Benton Field is ideal for growing vegetables. 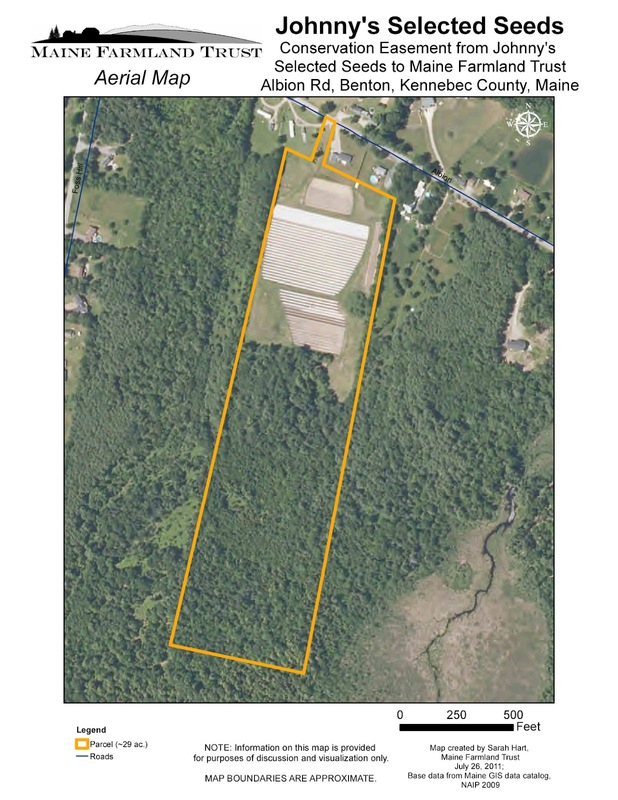 “It’s one of our best,” said Johnny’s Founder and Chairman Rob Johnston, Jr.
Read story about the conservation easement in the Waterville Morning Sentinel.